Major-General Dean J. Milner entered Royal Roads Military College in 1980 and graduated with a Bachelor of Arts in Economics and Commerce from the Royal Military College. Major-General Milner also has a Masters in War Studies from the Royal Military College. Major-General Milner's regimental duty commenced in 1984 with a posting to The Royal Canadian Dragoons, (The RCD) 4 Mechanized Brigade Group in Lahr, Germany. Major-General Milner was employed as a Leopard tank troop leader for his first two years at the Regiment and as a Squadron Liaison, Administrative Officer, and Battle Captain during his final year. On completion of his Germany tour in 1987, he was posted as an instructor to Tactics Squadron, Armour School Training Centre, and subsequently employed as a school standards officer. In 1990, Major-General Milner was posted to C Squadron, The RCD, the Canadian Forces only independent tank squadron at CFB Gagetown. In the spring of 1991, he attended Canadian Land Forces Command and Staff College and returned to C Squadron as the Battle Captain/Second-in-Command. In 1992, Major-General Milner was posted to The RCD in Petawawa as the Adjutant. Promoted to the rank of major in 1994, he commanded A Squadron for one year and Headquarters Squadron the following year, the highlight of which was the Regiment's 1994-95 deployment to Bosnia as part of the United Nations Protection Force. Major-General Milner was posted to the Directorate for Peacekeeping Policy in the National Defense Headquarters. In 2002, Major-General Milner assumed command of The RCD in Petawawa during which time he commanded a Battle Group in Bosnia as part of SFOR. In 2005 Major-General Milner was promoted to the rank of Colonel and became the Director Army Training at LFDTS HQ in Kingston, responsible for collective and individual training for the Army. 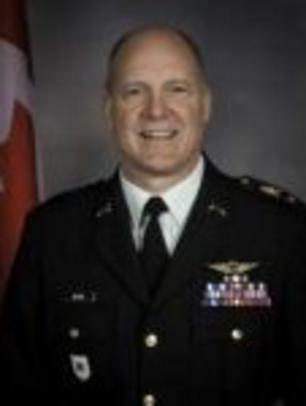 Major-General Milner commanded 2 Canadian Mechanized Brigade Group from August of 2007 until June of 2009. He then completed the National Security Program at the Canadian Forces College in Toronto in 2010 prior to his last overseas assignment commanding Joint Task Force Afghanistan 5-10, deployed from September 2010 to July 2011. In August of 2011, Major-General Milner assumed responsibility as the 6th Deputy Commanding General-Canadian of III Corps & Fort Hood. From May 2013 to March 2014, Major General Milner commanded the NATO Training Mission - Afghanistan. MGen Milner is married to Katrin and they have a daughter Stephanie and son Derek.